Captain Cash is having a blast in Canada’s capital! Ottawa is simply an outstanding city! We work hard to offer its young and educated population a premium service, so customers can benefit from their loan quickly and easily. Why not indulge a little and spend that boy’s night out with your friends at the Canadian Tire Center? Or that magic day with the family at the Canadian Museum of Nature? Apply today and let us take care of the financial aspect, while you enjoy your time! 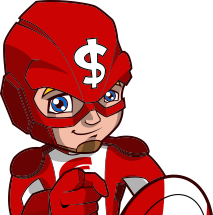 Captain Cash for the save! By far the BEST loan service! 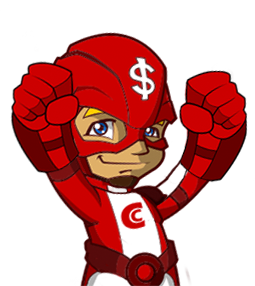 Captain Cash serves Ottawa for many years. With its great mix of cultural and recreational activities, Ottawa is certainly a must see city that will conquer the heart of all people. Clean and vibrant, it is impossible to think of a better place to live in Canada! The fourth largest city in the country, Ottawa serves as the capital of Canada. In addition, it is the second largest city in Ontario, and more than one million individuals call it home. Here, people find the largest skating rink on the planet, the Ottawa Senators, and Rideau Hall, among other things. The city is also home to a number of galleries, art museums, and festivals, such as the Winterlude Festival. What truly makes the city stand out, however, is it has been named second in the Americas in terms of the highest quality of living. Unfortunately, it has also been determined to be the fifth highest city in the country with regard to the cost of living. For this reason, residents and visitors alike may come up short on cash when it comes to their transportation, recreation costs, and more. With the help of a Captain Cash cash loan, people find they can take advantage of the many attractions of the city quickly and easily. 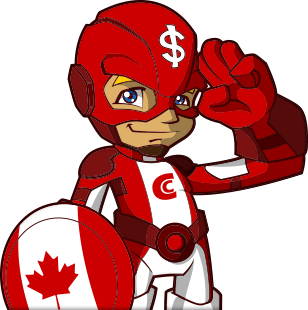 Potential borrowers need to understand the requirements of obtaining a loan through Captain Cash. He or she must be 18 years of age or older, a citizen of Canada, and maintain an active bank account. Additionally, the borrower needs to show proof of income and have very few other short-term financial commitments. Other restrictions also apply, thus individuals who are considering applying need to ensure they meet the qualifications for a loan through the company. People often wonder why they should choose a cash loan over other available lending options. First and foremost, the process of applying is easy and effortless. There is no paper application to fill out, and funds are received in a very short period of time—the same day in some cases. The funds can be used for any purpose, as there is no requirement to report why the funds are needed or desired. Furthermore, qualifying for this type of loan is fairly easy and straightforward. Emergencies occur. This is simply a fact of life, and people often find they aren’t prepared when a situation does arise. It may be that a number of emergencies have occurred in a short period of time and the individual hasn’t yet rebuilt their savings. Others discover they have a major expense they did not adequately budget for. Regardless of why the funds are needed, a Captain Cash loan helps to resolve the situation in the shortest time possible with minimal hassle. Life is short, and people need to make the most of every minute. Learning about an event or attraction only to find the funds aren’t available to visit or take part is very disappointing. A cash loan helps to ensure the person can make the most of their time in the city. With so much to see and do in Ottawa, people will truly find they can experience life to the fullest without having to go far to do so. Following are some attractions every individual should consider visiting. The Cold War was a time of strife throughout the world, and Canada was no exception. To protect government officials and military officers in the event nuclear weapons were deployed, the Diefenbunker was built. This 100,000 square foot, four-story, underground bunker was constructed between 1959 and 1961 to hold these individuals and functioned as a Canadian Forces Station Corp right up until 1994. Today, individuals may visit the bunker, which now serves as a museum. Everyone who visits will remember doing so for years to come, as it is unique in every respect. Craft beer continues to rise in popularity, with new offerings being presented regularly. Instead of heading to a farmer’s market to take advantage of fresh fruits, vegetables, and desserts, imagine heading to a market to try numerous craft beer options. Each beer found in this market is made by a member of the community, and visitors find they can try the different types in the great outdoors while meeting new people. Those who visit discover they learn more about the making of craft beer. Best of all, however, is the fact that a visit to the Brewery Market provides individuals with a way to give back to the community, as the market takes part in raising money for local charities. Be sure to ask about events taking place at the market, as you don’t want to miss out on the fun to be had in this unique marketplace. Every governor general in the country needs somewhere to live, and Rideau Hall is this place. A national historic site, the hall is situated on 79 acres of beautiful scenery, and visitors can take part in a residence tour or attend one of the many special events held here. Be sure to view the collections on display and check out the special exhibit for a complete visit in every way. Hockey is a sport loved by many in the country, and the Ottawa Senators host games in the city on a regular basis. Pick up some tickets for a fun night out on the town. Don’t miss out on the yearly Hometown Tour or bypass the opportunity to see your favorite player in action when tickets become available at the last minute. A cash loan through Captain Cash provides any individual with the opportunity to see their favorite team or player on the ice, even when funds are short. Contact Captain Cash when you are short on funds for any reason, whether it is a mechanical issue with a car or simply the need for cash for a special night out on the town. We can be of help in any situation and assist consumers on a daily basis. No person should have to miss out on fun or do without a necessity of life simply because they don’t have the necessary cash. With our help, individuals can get these funds in a short period of time and move on with life. We do loan in Ottawa and much more. 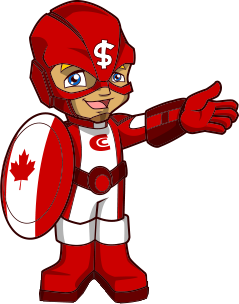 Whenever you are in Vaughan, Kitchener, Thunder Bay, Brampton... do not hesitate to claim your cash today!